I don't like to let more than a couple of weeks go by without pointing out how pointless and incompetent the TSA is, and so at least for that purpose it's lucky that its employees do dumb things so frequently. Last Friday morning, Terminal 4 at LAX was shut down for about 45 minutes after TSA employees operating one of their Dr. Whizzo Junior Scientist Electro-Scanners mistook a woman's insulin pump for a gun. Apparently not noticing their concern, and likely not expecting any because of an insulin pump, she walked away from the checkpoint toward the gates. The TSA then declared a security breach and called in the LAX police and LAPD (as I mentioned a couple of weeks ago, TSA employees are not themselves law-enforcement officers, they just dress that way), who then hunted down the woman in the terminal. She was detained, although the TSA refused to use that word, admitting only that she was "re-screened" and was "cleared without incident." 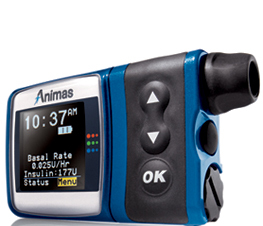 First, I don't claim to be an expert on insulin pumps, but so far I haven't found one that looks remotely like a gun. This one sort of does, if by "gun" you mean "phaser" and/or you are an idiot and/or your prior security experience mostly involved making sure the door of your Tercel was locked while you delivered a pizza. If these enormously expensive and intrusive scanners can't tell an insulin pump from a gun at a glance, what's the point? Second, having detected what they thought was somebody trying to smuggle a gun onto a plane, the TSA sprang into action … by letting the armed potential terrorist wander off into the terminal. While they can't arrest anyone, they obviously can prevent a person from flying if they think he or she is a security risk. But to do that, I guess they'd have to be paying attention. By the way, I just visited the TSA's website to see what it says about a traveler's rights in this situation (i.e., how long TSA employees can detain you, if at all, at a checkpoint), and it appears to say nothing. In fact, as far as I can tell, the phrase "Fourth Amendment" is used exactly once on the entire TSA website, and that's on a page about the use of private airport-screening companies, explaining why warrantless searches are permitted at checkpoints. If they are aware that the Fourth Amendment limits them in some way, you wouldn't know it from the website. They may know, but they certainly aren't going to tell you that.